This is long overdue and I know it was highly requested but I only just got around to editing and getting photos done for it. 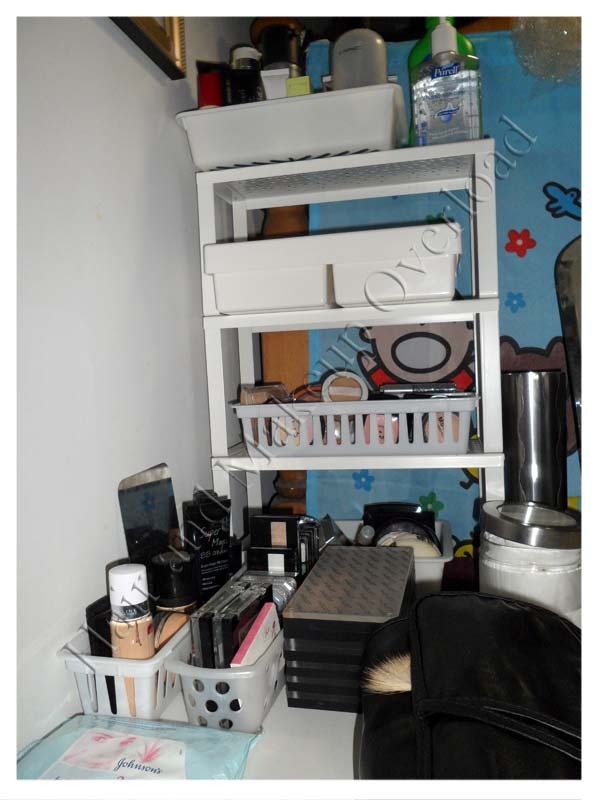 This post is pic heavy so it may take longer to load if you have slower internet connection. 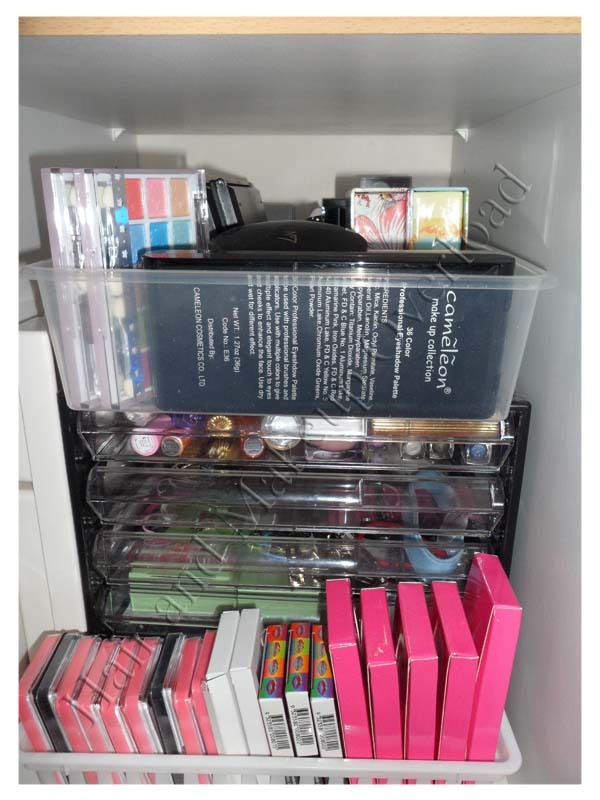 I would like to start of by saying this post is not for the purpose of showing off my makeup collection. I know I have a lot and I know I’ve spent a lot too and I don’t need people to tell me that. 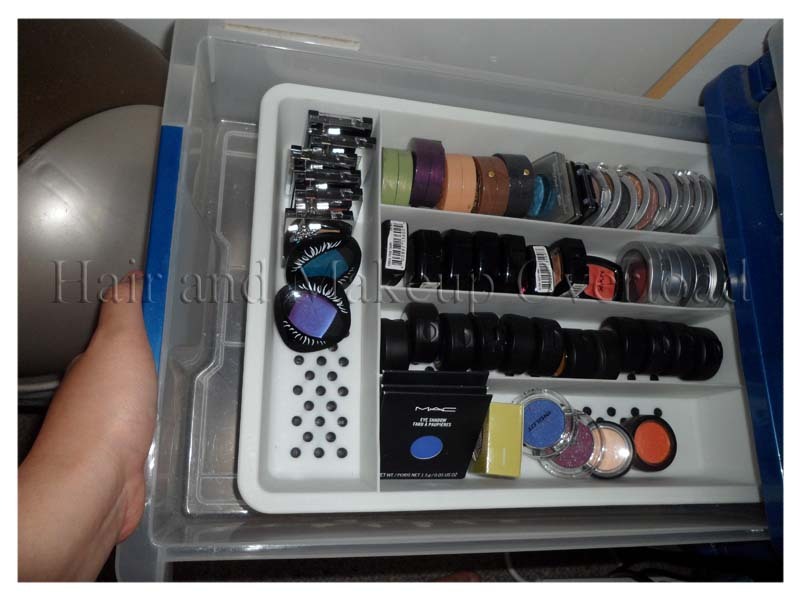 I am here to share upon many requests to see how I store my stuff. 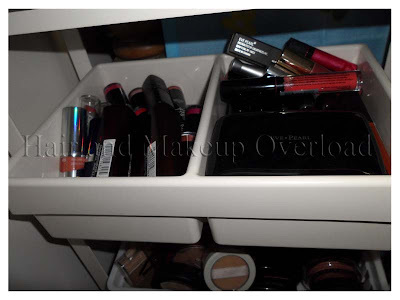 I will say first off I’m not the most organised person and to me easy access and convenience is one first priority. I like to have everything easy to grab when I get up in the morning or have to rush out in a hurry. 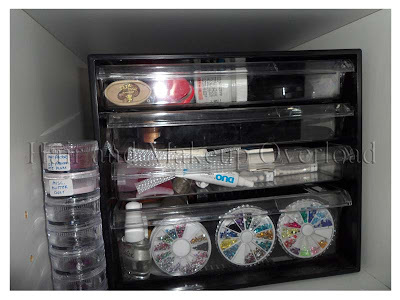 Hopefully this post will actually give you ideas how you would like to organise your stash. 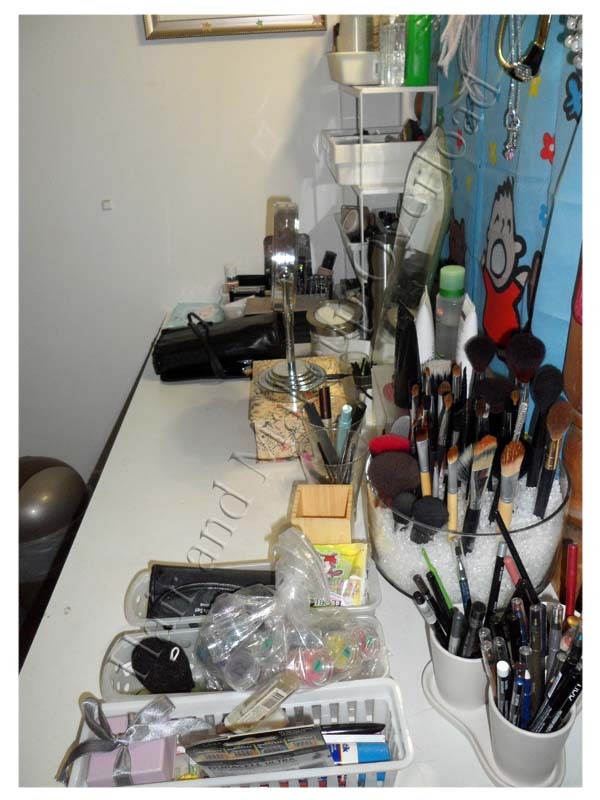 I don’t own a fancy vanity table; it is still the same one from the time I first posted my organisation. It’s a typical old study table that is from IKEA over 8 years ago. You can use any old table you have at home if you are on a budget; I find there is no reason to spend money when you already have a perfectly good table at home. 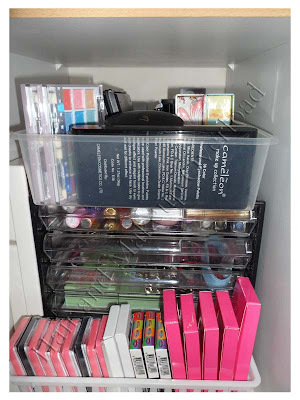 I also don’t have much room so I had to find what works best for me. The glass bowl that holds my brushes is just a very cheap $2.99 bowl from Red Dots. It’s one of those bowls with the leg for candles to float around in water. I liked how it was big and rounded evenly and it wasn’t tall. The beads are from previously, you can find these at any craft store and I got mine from Spotlight. Mine are not floral beads but beads to stuff toys with. 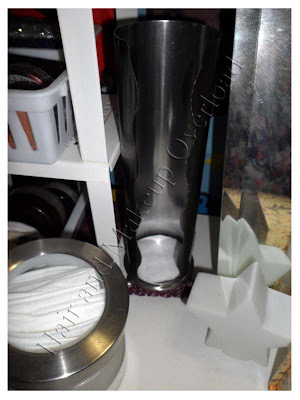 Glass bowl for candles as a brush holder. This container was previously used to store my brushes with the beads in it, but I’ve changed it and store my mascaras and Jumbo pencils in them now. 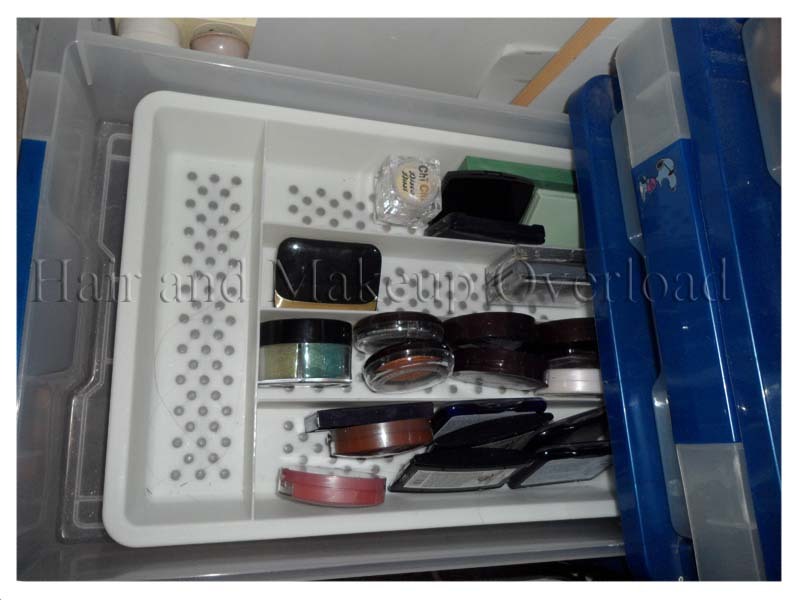 It is an organiser from Office Works so office supplies stores may have something like this. 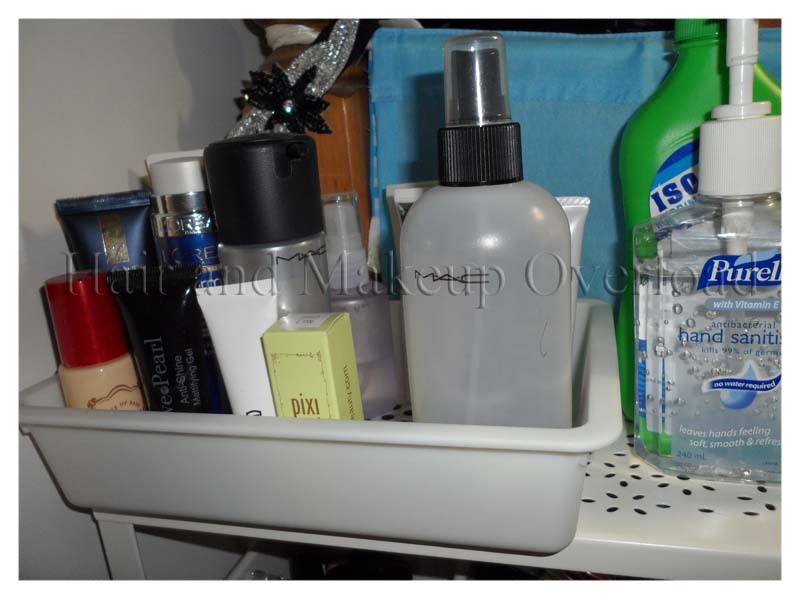 I love this little shelf and it is from IKEA and cheap. You will find this in the kitchen section of IKEA. It is sold individually so you can stack them as high as you want. I got the smallest one and there is actually one that is wider. I have a total of 3 of them screwed together. 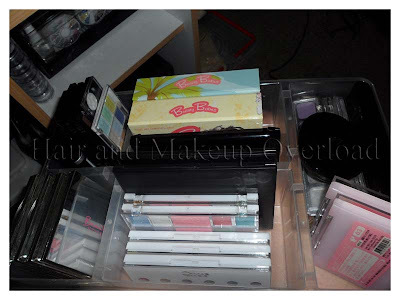 You will notice I use a lot of trays to store things. You can get these all over the place like Target or even those cheap stores. They’re not fancy containers or trays so you don’t need to buy them from expensive department stores. 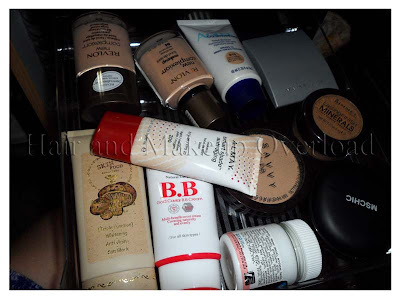 My Foundations and eyeshadows that I use on a more regular basis is on the table in trays. 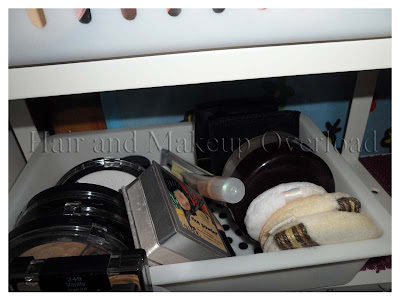 I use kitchen utility trays to hold my concealers/powders and my primers/moisturisers/etc. 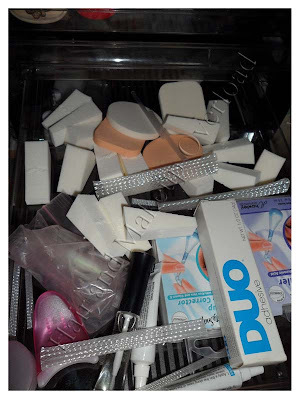 Skinny plastic trays for blushes, bronzers, shimmer and highlighters. This container was a part of some bathroom set from IKEA but I can’t remember which one. 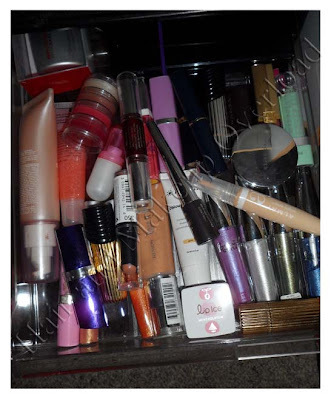 I just throw my lipsticks and lip glosses in them. 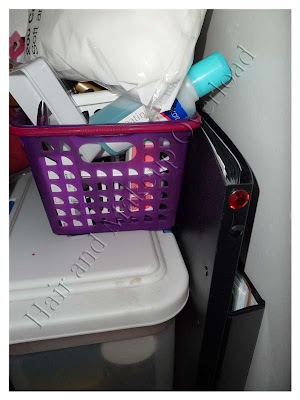 Since it is separated into two sides it keeps them apart so it is easier to rummage through them. 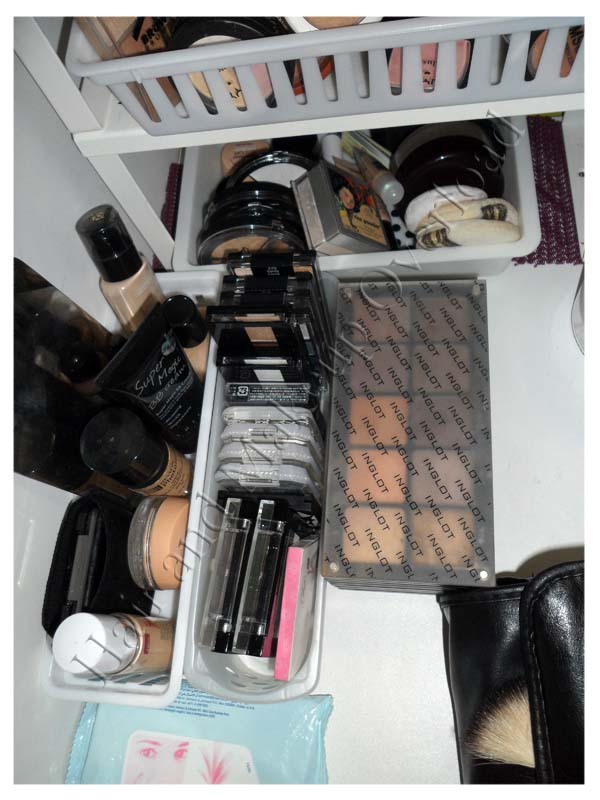 IKEA tray from bathroom section. Kitchen tray with primers and other stuff. 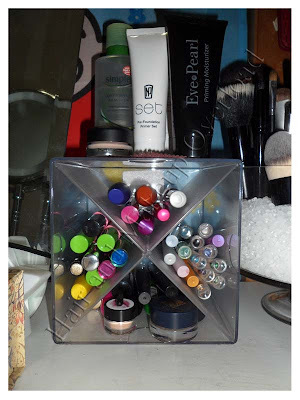 This cotton pad holder is obviously from IKEA too; I know a lot of people own one because it is a very easy way to store your cotton pads. I’m running low so I need to top it up soon. I also been asked what I use for school or to carry my brushes in. I have yet to get a good brush belt so I just use a normal brush roll. I got this in Hong Kong last year during my trip and it is just a simple black leather brush roll. 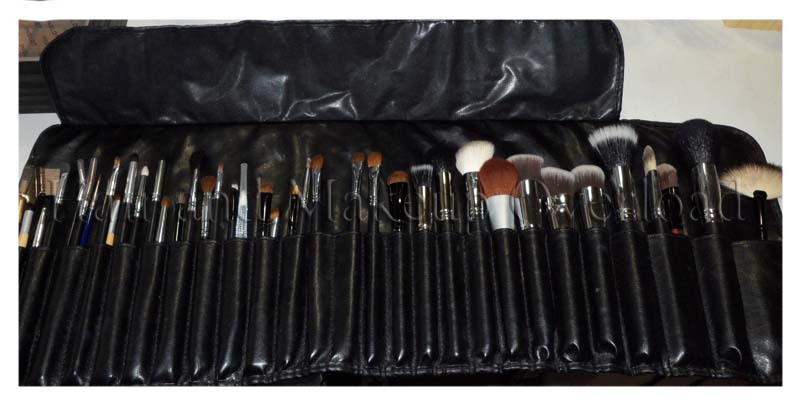 These brushes in the roll are the ones I carry with me in my kit to school. 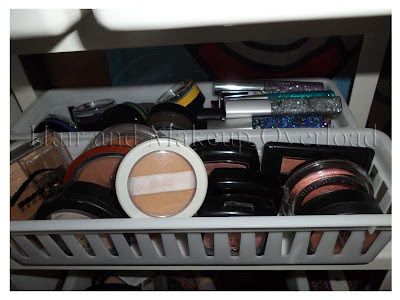 They’re MAC, Sigma, Coastal scents, E.L.F., and some random ones like Eco Tools or art brushes. 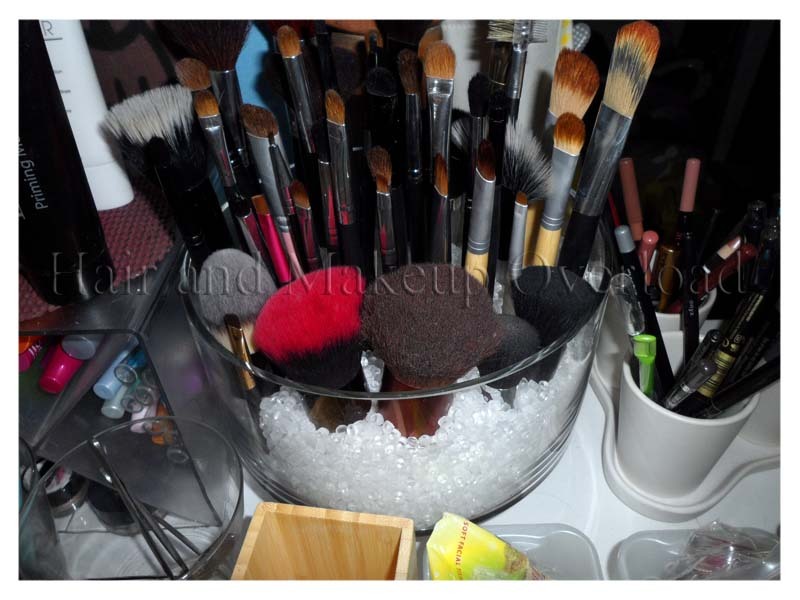 Professional Makeup brushes used for school and makeup application on other people. The cutlery trays in the drawers under the table are still the same except I cleaned it out and some of them aren’t as cluttered. The first one is still my loose eyeshadows and pigments. 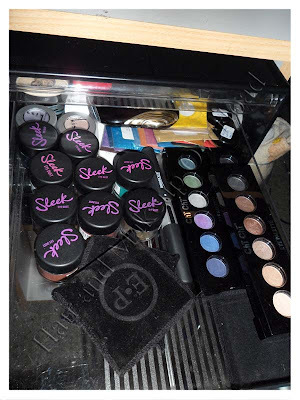 It isn’t all of them since my Pure Luxe samples that I bought a while back haven’t being swatched and are sitting in a bag on the table (you may have noticed the in the first pic). As you can see some of them are a little empty which is good since it means I have more room for new stuff! 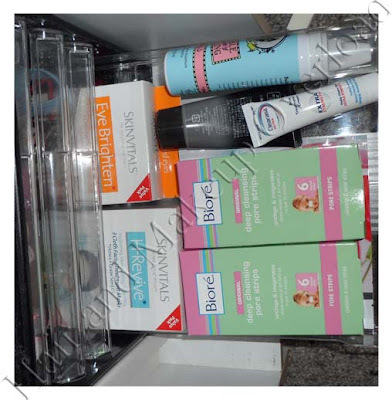 Under the table also is my Hair stuff in the box, it contains tools and curlers. On top is a basket full of my nail stuff and on the side the big file is my school portfolio from last year. They contain BB creams and foundations I don’t use anymore or rarely touch because my skin tone is changed. 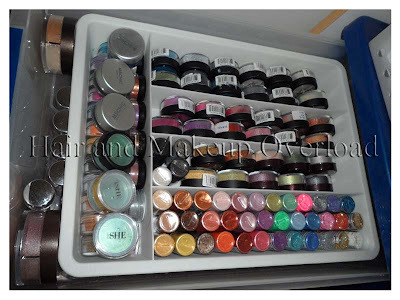 Contains some eyeshadows and pigments. 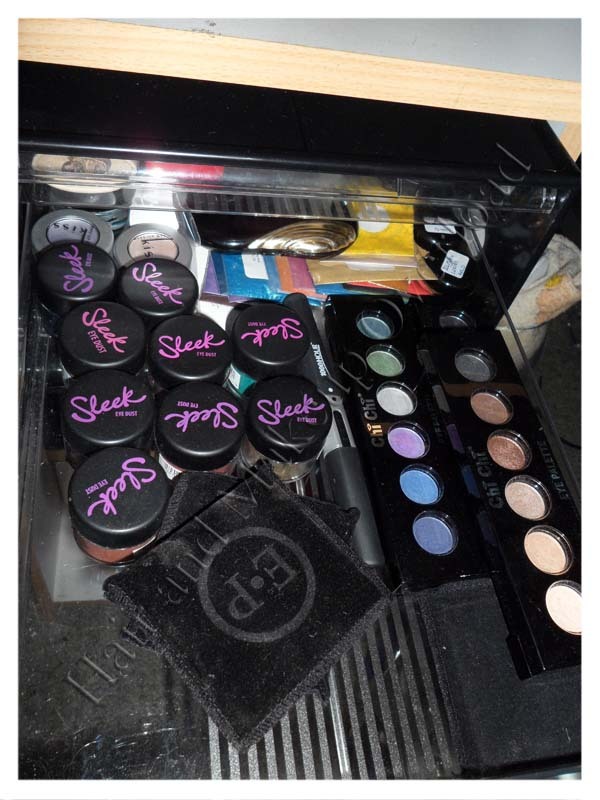 This tray is pretty random, my 120 palette at the back and my Chi Chi super stack as well as a back up MSCHIC face canvas and MAC brush cleanser. 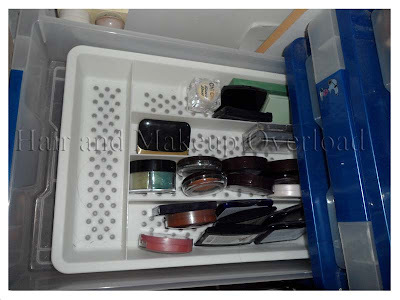 The second paper drawers are on the very bottom of the compartment. It has a tray of false eyelashes. 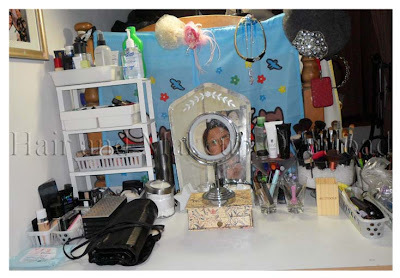 That concludes the mini Vanity Organisation/ Collection tour. If you see something you would like to be reviewed or swatched don’t hesitate to leave a comment or email me. 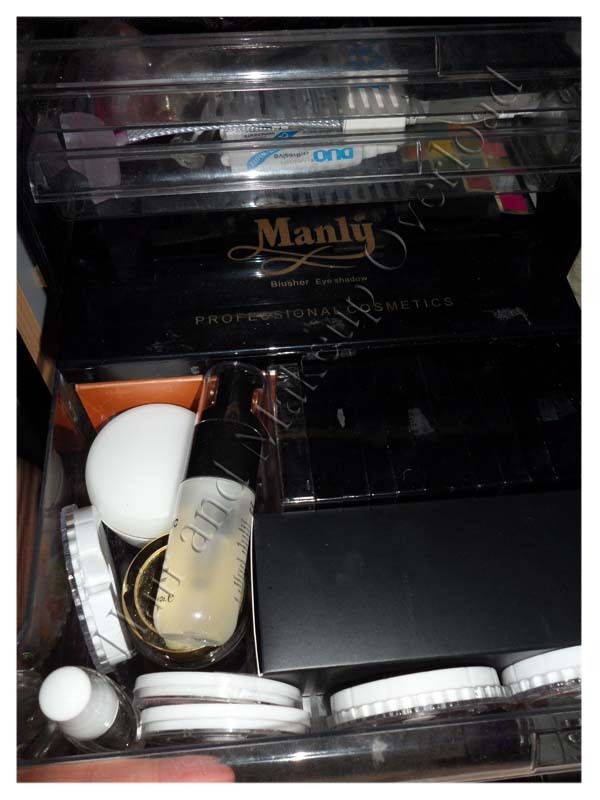 Hey Mandy, Forgot to ask you above if you have a make-up travel case? 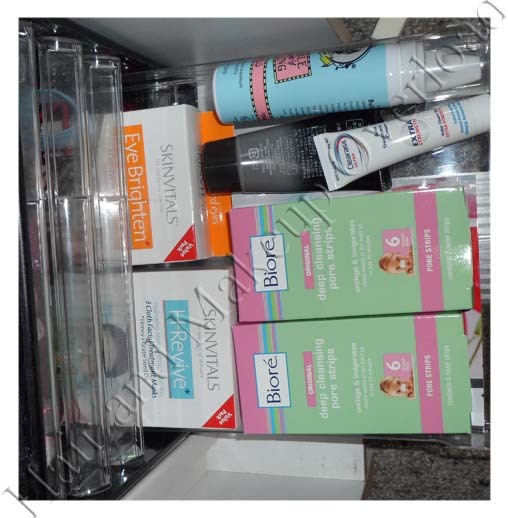 Thanks so much for that Mandy, I saw some the other day in priceline but they were a bit too small for my liking.